Hepatitis C is a potentially deadly virus that cause liver infection, and it is thought that it may be eradicated within the next 10 years, with the cure rate now close to 100%. It is thought there are 150 million people with Hepatitis C around the world, with the majority developing chronic liver infection which may lead to liver failure. There is a vaccination for Hepatitis A and B, but NOT for Hepatitis C.
The Federal Government has focused on funding treatments, with a rollout of a powerful antiviral medication, Zepatier, which is provided on the Pharmaceutical Benefits Scheme. Access is available for people across the entire disease spectrum, including those with no significant liver damage all the way through to those with major liver damage, with 30 000 Australian being treated for the disease last year. Many countries are restricting treatments to those who have advanced liver disease because of the very high cost of these treatments. It is still important to be mindful of prevention strategies that have been in placed for the last two decades, even with the high cure rates. Hepatitis C is an infection caused by a virus that attacks the liver and leads to inflammation. It spreads easily, and requires diagnosis by a doctor following lab tests. The virus is spread by contact with contaminated blood, for example, by sharing needles or from unsterile tattoo equipment, and can be spread from a mother to baby. Most people have no symptom, but in those that do, they may have fatigue; stomach pain, bleeding, fluid or nausea; fever; loss of appetite; swollen blood vessels in the skin or eyes; yellow skin; depression and weight loss. * To keep your teeth and gums healthy, gently but thoroughly brush your teeth, twice a day, in the morning and at night last thing before going to sleep, for at least 2 minutes each time. Ideally use fluoride toothpaste, which can reverse early stages of tooth decay. Keep the fluoride toothpaste out of reach of children. Use a soft toothbrush, or preferably a very good electric toothbrush. 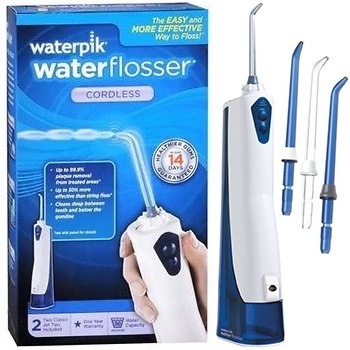 * Gently clean in between your teeth with dental floss or an interdental brush. 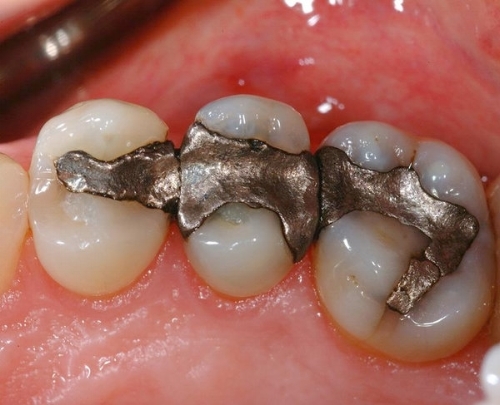 Your dentist and dental hygienist can show you how to do this, for a thorough clean. * Limit how often sugary foods and drinks are consumed. * Fluoride gels are available to apply to the teeth, to try to protect against tooth decay. * Tooth Mousse Plus helps prevent rapid enamel loss and keeps the mouth from feeling too dry. It also reverses early decay, and neutralises the acidic environment in the mouth. Your dentist can supply this and advise how to use it. * Mouth ulcers anywhere in the mouth are common. If they persist for more than 2 weeks, see your dentist for advice. Warm salt water rinses are helpful, a glass of warm water with a teaspoon of salt, to soothe and calm the irritated gum or tissues. * See the dentist each 3 months for regular checks and professional cleans. Healthy gums are pink, firm and don't bleed. Bacteria builds up around the teeth and gums if they are not cleaned well, and irritates the gums and causes infections. Irritated gums appear swollen, red and bleed easily. Other signs are receding gums, bad breath and loose teeth. To keep the gums healthy, brush the teeth thoroughly and gently in the morning and before bed time, for 2 minutes with a very soft toothbrush, or preferably a good electric toothbrush. Angle the toothbrush towards the gum line and use a gentle circular motion, and brush each surface of the tooth, to remove the plaque bacteria. Any whitish or yellowish build up between the teeth or around the gum is bacteria that should be removed, so it does not irritate the gums or cause tooth decay. 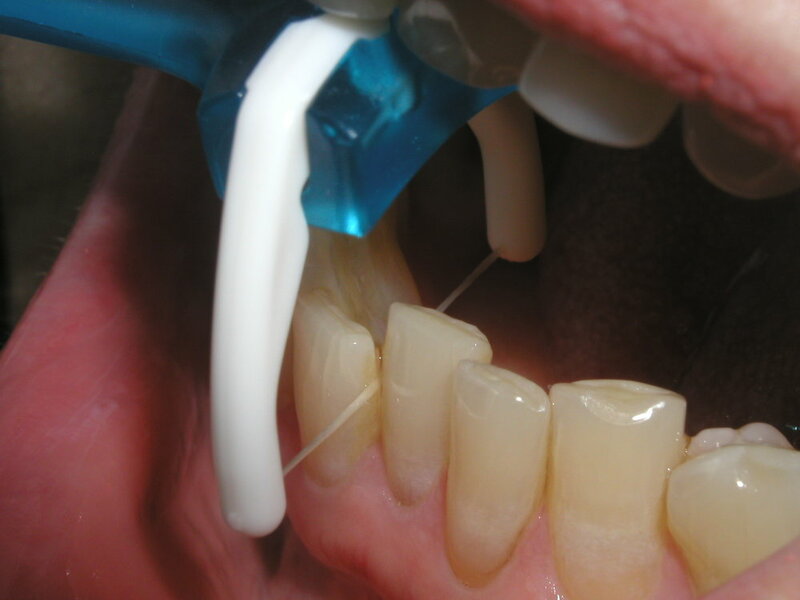 Floss gently ensuring that the floss is dragged along the surfaces of the teeth in the gaps between the teeth. The plaque bacteria likes to stick against the edges of the teeth, where the toothbrush can not reach. 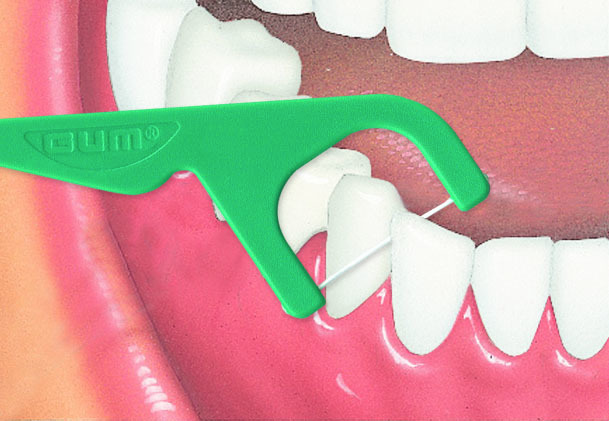 Interdental brushes can be used for spaces or gaps in between the teeth. With Hepatitis treatment, a patient may have less resistance to gum infections. Regular dental visits for professional scaling and cleaning removes the hardened bacteria from around the teeth and under the gums, which irritates the gums. Smoking may make gum disease worse because it stops good blood supply to the gums, and dries them out. Think about quitting if you can. Seek dental advice urgently if your gums are bleeding, painful, or if you have persistent mouth ulcers, persistent bad breath, or any sign of infection in your mouth. Being well hydrated is important when undergoing treatment for Hepatitis C. Saliva helps to keep the mouth lubricated and washes over the teeth, providing minerals to the tooth to repair early areas of decay, as well preventing bacteria, viruses and fungi from causing infections and gum disease. It also assists with chewing, taste and speech. If it persists or your mouth splits and bleeds, see your dentist. Dentures can allow thrush to thrive. Try soaking your dentures for 30 minutes in diluted Milton’s solution, but not if it has metal clips because they will rust. If your thrush doesn’t improve or is severe, see your dentist. Very carefully brush your dentist each time that you brush your teeth. Make sure there is no staining, or build up. Your dentist can professionally clean it for you. Make sure that you have a denture that fits well. Your teeth may be sensitive to hot and cold or sweet food and drinks. Teeth can become sensitive if enamel is lost from the surface of the tooth or if the root surface is exposed. > grinding teeth – often occurring during sleep. Your dentist may recommend and provide a night splint to protect teeth from wearing. Desensitising toothpaste or fluoride gel applied to the necks of your teeth may improve sensitivity. If sensitivity does not improve or is severe, consult your dentist. Most of know that poor dental hygiene can cause tooth decay, gum disease and bad breath -but poor dental health may be the cause of other health conditions. Research is still underway with Universities around the world, but it is well recognised that poor dental health leads to an array of risk of factors causing poor health and potentially causing other serious illnesses. In 2010, a small New York University (NYU) study found a link between gum inflammation and Alzheimer's disease, following review of 20 years of data from Denmark. Gum disease at the age of 70 was associated with lower scores for cognitive ability, even when taking other factors, such as obesity, smoking and tooth loss into account. In 2013, a UK study showed that a type of bacteria in some people's mouths - Porphyromonas gingivalis - which is usually associated with chronic gum disease - was found in the Alzheimer's brain samples but was not found in the samples of the brains of people who did not have Alzheimer's. Scientific evidence in 2014, with a follow up study, showed that two of the three gum disease-causing bacteria are capable of movement and have been showing up in brain tissue samples. The mobile bacteria leave the mouth and enter the brain in two ways, by directly entering the brain, crawling up the nerves that connect the brain and the roots of the teeth. The other path the bacteria can travel is through the blood circulation system and into the brain. With bleeding gums, the gum disease-causing bacteria will enter the blood stream every time we clean our teeth and even when we eat food. The main bacteria that causes inflammation around the gums is a type of bacteria known as P. gingivalis, which has found ways to attach to red blood cells in the blood stream and instead of leaving the red blood cells in the spleen, they choose to travel into the brain at a point where there are no immune checkpoints, and where they then spread through the brain. The blood vessels tend to enlarge and become leaky as people get older, making them even more vulnerable to disease. Research has demonstrated that chemicals released by the immune system of the brain happen when periodontal disease causing bacteria get inside the brain leading to damage of functioning nerve cells in the part of the brain that relates to memory. Research at Harvard University in 2007 found a link between periodontal disease and pancreatic cancer, however the exact way this comes about is still unknown. Periodontal disease is where inflammation in the gum tissue that sits around the teeth leads to a loss of bone from around the teeth that cannot be reversed. Gingivitis is the where the tissue around the teeth becomes inflamed because bacteria in the plaque around the teeth builds up due to poor dental hygiene - and was not linked to increased cancer risk. However, gingivitis can lead to periodontitis- where jaw bone is lost from around the teeth - if it is not treated. A Harvard research review of over 50 000 men found that a history of gum disease and particularly recent tooth loss had a 64% increased risk of pancreatic cancer. Tooth decay had no increased risk for cancer. It is thought that there may be high levels of carcinogenic compounds - called nitrosamines - in the mouths of people with periodontal disease which may react to the digestive chemicals in the gut creating an environment that leads to pancreatic cancer. Further research in 2012 could only prove a link, and was unable to prove whether the periodontitis bacteria cause or are because of pancreatic cancer, and it has still not been established as a risk factor because of the lack of actual proof. A study in 2008, found that people with bleeding gums from poor dental hygiene could increase their risk of heart disease. Bacteria from the mouth can enter the bloodstream and stick to platelets, which can then form blood clots, interrupting the flow of blood to the heart and triggering a heart attack. There are up to 700 different types of bacteria that live in our mouths. Heart disease is the biggest killer in the western world. Bacteria from the mouth can cause bacterial infections, which are a recognised risk factor for heart disease. A Bristol University study found that bacteria interact with platelets by copying the pressure inside the blood vessels and the heart. The bacteria causes the platelets to clump together, which allows the bacteria to hide inside from attack by immune cells and makes them less detectable to antibiotics. There can be 700 different types of bacteria in our mouths, which are part of a healthy mouth, but when bacteria spreads to other tissues through the blood stream, the results can be life threatening. Infective endocarditis is a heart disease where bacteria cause blood clots on the heart valves. This can cause a fatal condition in at least 30% of case, even with treatment. There are 2 000 cases of infective endocarditis in the UK each year, with the number of cases rising. Dentists will ask patients about their medical history and check for certain heart issues. Some times we will ask patients at risk to take some antibiotics before some procedures, such as removing teeth, and professional cleaning of the teeth, in an effort to stop bacteria from our mouths, travelling through our blood stream to the heart, where they can lodge on scarred areas and cause disease. Researchers (from Bristol University and University of Louisville, USA) have used a giant x-ray microscope to find that a protein was allowing a type of bacteria to stick to the surface of human cells, which was the first step in causing progression of disease. The wonderful researchers are now hoping to find and develop agents that will prevents the binding of disease causing bacteria, and the series of catastrophic events that can follow. The Australian Medical Association have criticised the $4.7 billion industry that sells supplements and vitamins when they haven't been shown to work. A finding by Choice and explored in a Four Corner Investigation shows how Australian pharmacies have embraced complementary medicines with often unproven benefits, including vitamins, mineral and herbal supplements. Of 11,000 complementary products on the market in Australia, less than 500 were checked for compliance by the regulator, the Therapeutic Goods Administration (TGA), with 80% of those actually tested having compliance breaches. Most of the breaches were missing efficacy data, which companies must be able to provide. Effectively products are being sold that have no testing data or proof that they work at all, and in fact may do some harm. The TGA is pushing for reforms, so that supplements are classed and labelled as having been tested, however industry is resisting changes and identification of ineffective products, claiming that there is a growing international trade which would disadvantage them. Pharmaceutical Society of Australia does not support the sale of vitamins and minerals, however there are no firm rules around their sale in pharmacies. Choice sent undercover shoppers into 240 chemists around Australia, complaining of stress, with 59% being told that a complementary medicine product would work, and 24% being told that it was scientifically proven to work. There was no evidence of homeopathy working found for 60 conditions reviewed by the National Health and Medical Research Council in 2014. Flower essence products — known as Bach flower remedies — have been show to have no effect over that of a placebo in reviews of clinical trials. Supplements are also known as complementary medicine products, including herbs, vitamins, minerals, nutritional supplements and homoeopathic medicines. The best selling supplements include krill oil, sports nutrition products (including protein powders), and calming and sleeping products. Some complementary medicines have been proven to work, however many of the products sold in Australia do not match the dosages that have been clinically proven, for instance a chemical found in cranberry really does help prevent urinary tract infections, however many of the Australian products don't contain enough of the chemical to have any effect. Electronic cigarettes known as e-cigarettes are battery-operated devices containing a heating device and a cartridge that holds a liquid solution. When the user vapes or puffs on the device, vapour is released which is inhaled. It may seem like a safer alternative to conventional cigarettes, however when it comes to dental health, research is indicating that vaping is just as, if not more harmful than smoking. The role of e-cigarette creating an aerosol to cells and tissues of the oral cavity, is thought to compromise periodontal health (health of the gums and bone around the teeth). Research has shown that exposing the cells in the mouth to e-cigarette vapour caused more than half of the cells in the mouth to die in a few days. In a study published in the journal Oncotarget, researchers found that the chemicals present in e-cigarette vapour were potentially more damaging than tobacco smoke to the cells in the mouth, which could cause further oral health problems. The vapour is thought to damage the defensive barrier in the mouth which may increase the risk of infection, inflammation and gum disease, which may cause tooth loss. Long term it is thought that ongoing changes in the cells in the mouth could lead to cancer. Just a third of the 2.9 million children eligible for government fund rebates have accessed dental care, with two million children missing out on $1000 of entitlement to dental care every two years, with the private dentist of their choice, with 97% of dentist agreeing to provide bulk billed service. The funds have been available since 2014, but with little promotion and two government reviews to investigate the reason for the shortfall as why so few children have accessed the program. Parents are informed about eligibility once a year in January within a general mail out, known as the current eligibility notification, which is thought to not provide readily recognisable advice of an entitlement. The program recently survived the government trying to shut down the funding to save money in the 2016 budget, following rejections from Parliament. A new scheme had been proposed with 30% less funding, but covering 7 million more people, including the cost of teenage braces. The plan was opposed by the Australian Dental Association because it was not means tested, and was realistically providing $42 of dental care for each eligible person per year. Late last year the government reduced the cap to $700 after an effort to axe the program entirely, which was blocked by the Senate, but has now been signed into law, and increased back to the original cap of $1000. The scheme is for children aged two to 17 years of age, for those in families that qualify for Family Tax Benefit A, with the benefits available for basic dental services including check ups, x-rays, fillings, extractions and root canals (braces are not covered). Seven in 10 kids under the age of nine have active dental decay and 30 000 children a year are hospitalised for urgent dental treatment under general anaesthetic, the majority of which are preventible, and where there is funding to protect children's teeth. Our next generation should have the right to the best care possible and all measures to protect their teeth, and allow healthy life habits. It features the multiple cleaning modes like daily clean, sensitive and whitening. It has 3D cleaning movement for a basic, everyday clean. The battery charge lasts 12 days, and has a precise battery charge display. 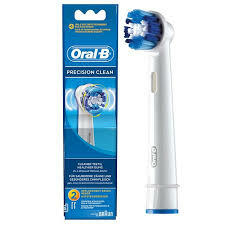 It connects by bluetooth to your smart phone, with an Oral B app that gives guidance and feedback for improved brushing habits, as it detects where your tooth brush is positioned in your mouth. which allows you to see where you’re brushing so you can adjust your technique so you don't miss a zone, so you know your getting the best clean possible.that can be adjusted by your dentist, if you wish. The app can be downloaded on your smartphone and used with Bluetooth technology to get real-time feedback while you clean for improved brushing The built-in 2-minute timer helps you brush just the right amount, with a timer for each zone of your mouth.There is a smart travel case, which has a phone holder, to charge both your toothbrush and smartphone using only one outlet and at the same time. 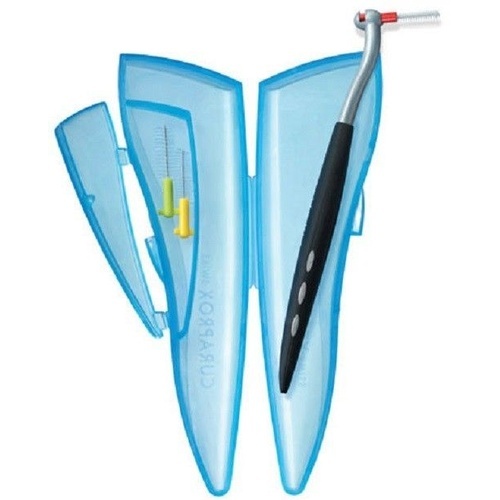 It has a smart ring all around it which is visible from every angle while brushing, and allows you to see feedback from the pressure indicator, brushing timer and bluetooth connection easily. The pressure sensor helps protect your gums from over-brushing. A band illuminates and the pulsations also slow, and then stop when you brush too hard, and if you are consistently seeing this, the brush handle can also be set to the sensitive mode. Brush for 2 minutes morning and night, never forget the night time clean and no snacking at all after, even a drink of milk. Don't bother with the supermarket rechargeable electric toothbrushes, they break quickly and they're useless. 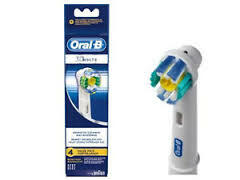 Oral B Smart Series and Professional Care electric toothbrushes are recommended, with the Genius being the top of the range, and the toothbrushes below are recommended. Floss between all teeth after brushing teeth each night, making sure to move the floss against the tooth surfaces each side of the gaps to scrape off the plaque that sticks onto the teeth in these hard to reach areas. Brushing longer will never remove the plaque hiding in between the teeth and under the gum. 3/ Clinpro Tooth Creme Vanilla Mint by 3M is a specialist remineralising toothpaste but it's not for kids under 6 years of age. A gold standard for strengthening teeth but it requires an extra step. 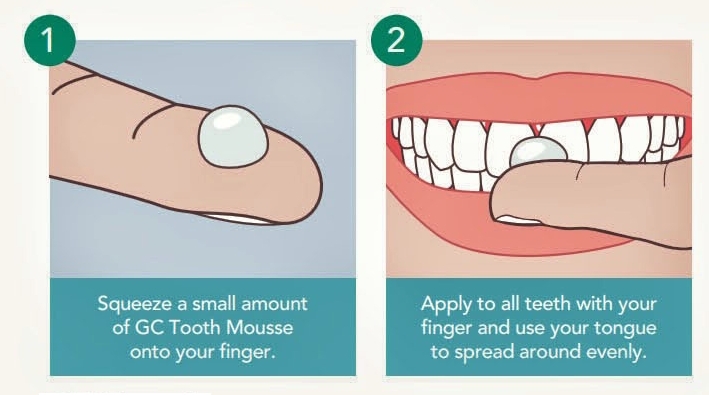 You apply a pea sized amount of it after brushing and flossing and don't rinse out. Not suitable for anyone with a milk allergy. It's good for sensitivity, teeth wearing away and helping to remineralise the teeth. It is only for children over 6 yrs of age. Rare sugary treats and no addition of sugar or salt, mainly whole and unprocessed foods, and lots of fruit and vegetables. Remove the stains and scale buildup called calculus, which cakes around the teeth and under the gums and lets bacteria thrive, to keep the gums and teeth as healthy as possible. Two yearly bitewing x-rays allow your dentist to check for stability and see under fillings, and in between the teeth, to check for decay, and to check that bacteria has not gotten under the gums and damaged the jaw bone around the teeth. If there are any early problem, your dentist can stabilise them, repair and manage you teeth and gums, before it becomes painful and unmanageable. Even I can't tell exactly what is happening in my own mouth, without visiting the dentist, and I have been a dentist all of my life. (although I can floss them all in around 30 seconds). STILL NOT CLEAN ENOUGH ? There are over 30 different puffers known as inhalers that are available to treat respiratory disease in Australia, to treat asthma and chronic pulmonary disease (COPD), which are very common conditions. The ingredients in the inhalers have significant effects of dental health, so it is important to let your dentist know the brand name of any inhaler that use, even if it is occasionally. Most of us are familiar with the typical asthma inhaler Ventolin, which has been around for 60 years and is still widely used, and which relieves the constriction that causes ashtma in the short term. Most patients are now managed with long acting preventive medicines to control the inflammation in the lungs, rather than waiting for acute symptoms and treating those. Most inhalers are either bronchodilators - to open up the airway, or anti-inflammatories. Ashtma medications are called RELIEVERS or PREVENTERS. COPD medications are known as RELIEVERS and MAINTENANCE. Inhalers devices appear simple, but are quite difficult to use correctly, which then created a decreased effect, and places the active ingredients in the inhalers into the mouth, which increases the chance of adverse effects on the teeth. Spacers are used to make inhalers easier to use, to provide a pressurised metered dose, and to reduce the effects on the mouth. Nebulisers are no longer recommended. The common dental side effects of inhalers are dry mouth, dental decay, periodontal disease, taste changes, changes in the tissues in the mouth and ulceration, bad breath, changes to the voice and fungal infections in the mouth. The very large problem is the dry mouth that they cause because the saliva flow slows down. Firstly this causes difficulty in talking, eating, swallowing, altered taste, soreness in the mouth, ulceration, sores in the mouth and tissue breakdown. 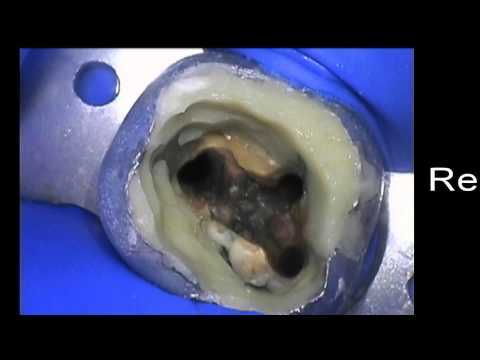 To try to prevent these issues using a correct technique, spacer devices, dose reduction, and increased hydration with water. There is an increased risk of tooth decay in permanent teeth in children and adults if inhalers are used in the long term because of the slow down and changes to the saliva, the acidity of plaque bacteria in the mouth, the suppression of the immune system from steroid use, and even the powder depositing on the teeth is thought to increase bacterial activity in the mouth. When we form a treatment plan, we assess all impacts on your mouth, and it is important to record the brand name of any inhaler, because it indicates the exact type of device being used, and a different technique or lower dose may create a better environment in the mouth. 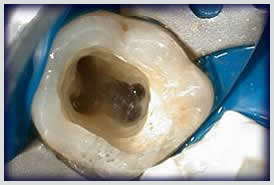 Tooth-colored materials now can be used to restore teeth and amalgam is used less often than in the past. The newer materials can notbe used for all situations though. If your child is eligible for the CDBS you will get a letter to confirm if you are a parent/guardian or approved care organisation. Older children getting payments under their own name may also get a letter. If a teenager's partner is receiving payment for the following payments, they may be eligible. Eligibility may be affected if you go from getting fortnightly Family Tax Benefit Part A payments to lump sum payments, and if your payments change. From 1 January 2017, benefits for basic dental services are capped at $700 per child over 2 consecutive calendar years, and has been reduced from $1000. If you don’t use all of the $700 benefit in the first year of eligibility, it can be used in the second year if the child remains eligible. Any remaining benefit can’t be accessed after the end of the second year. Benefits are not available for orthodontic or cosmetic dental work and can not be used to pay for any services provided in a hospital. CDBS services will not count towards the Medicare Safety Net. confirm your eligibility and balance amount using your Medicare online account through myGov or call the Medicare general enquiries line. make an appointment with either a private or public dentist and let them know you or your child are eligible for the CDBS. discuss the child’s treatment and any associated costs with the dental provider before you receive the services. After this has been discussed, you need to sign a consent form. After the dental provider has provided the agreed services, they will bulk bill you for the services. In the diagnosis and management of many dental conditions, radiographs (x-rays) are used to detect issues that may not be able to be found during routine examination, and on occasion before any pain is felt. Early detection of problems with the mouth or teeth, such as cysts, infections, hidden decay, impacted teeth and bone loss can be seen easily on x-rays, but may not be visible to your dentist just by examining your teeth. X-rays are usually taken before certain procedures to assist planning, such as removing a tooth, fitting of a denture or false teeth, fitting of braces, placement of crowns, implants and bridges, and root canal treatment. They are also taken following any injury to the mouth to determine the extent of damage. There are three main types of X-rays that are used in dentistry. 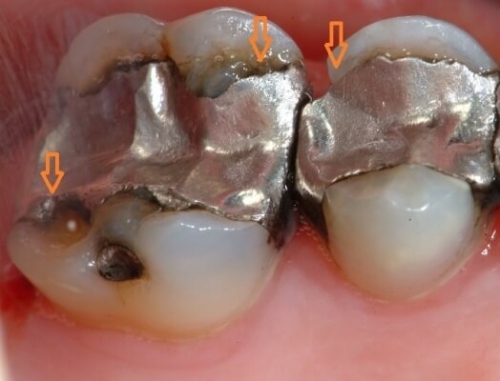 The dark area is decay in between the teeth that cannot be seen by careful checking of the teeth -because it is hiding in between where the teeth meet each other. this decay can creep to the nerve and infect the tooth without being able to be seen. Bitewing x-rays - are very thin digital plates that fit inside your mouth briefly, one of each side, while you bite on a piece of plastic that centres the plate, for about 30 seconds. These are used to detect or confirm decay in the teeth, and to assess the bone levels around the roots of the teeth, to check for periodontal (gum) disease. The x-ray shows a true image of the upper and lower back teeth, as well as around fillings, crowns and other dental work, the bone under the gum, and decay. Periapical x-ray -which shows an entire tooth, its root and the bone around it. They are very useful to determine if there is bone loss around the root, cysts and abscess, finding inflammation in the bone due to infections in the root canals of teeth, and for examination of root tips of teeth. OPG (panoramic) x-ray - gives an images of the entire upper and lower jaws, including an overview of all teeth that are present. They are particularly useful also for identifying abnormalities in the jaw bone, trauma to the jaws and issues with wisdom teeth, and as a precursor for viewing developing teeth to allow for measurements to decide whether a child needs braces. An OPG shows less detail than bitewings and periapical images, so these may be required in addition to the OPG. Any specialist referral will require an OPG to be forwarded to the treating specialist. It refers to the radiation used to create an image on to a computer screen. Tooth decay causes the dentine and enamel and appears darker an image that tooth structure which is health. Inflammation around the root tip of a tooth can destroy the bone which makes the bone appear darker than the surrounding healthy bone. There is much less radiation involved when x-rays are scanned rather than taken on the old style film, and the other advantage is that they are stored with all of your records and compared to check for stability, and easily emailed to specialists or to another dentist if you relocate. Depending on the age, dental history and any symptoms your dentist will assess how often bitewing x-rays are required. In general, from the age of 16, bitewing x-rays are recommended once every two years. They are taken with a small film which is placed on each side of the mouth to see under fillings, in between the teeth where bacterial film likes to stick and cause the tooth to soften without correct flossing, check the bone levels around the teeth, and to ensure that the teeth and supporting tissues are sound and healthy. Periodontal disease or periodontitis is a severe form of gum disease, that causes gum inflammation and bleeding, as well as destroying the bone that supports the teeth. If it progresses unchecked, it can lead to tooth loss, and has been associated with systemic inflammatory conditions, such as hardening of the heart arteries and rheumatoid arthritis. Researchers have found an anti inflammatory protein called Del-1 that inhibits the bone loss by curbing the cells in the bone that absorb bone tissue. Research in America is currently investigating whether Del-1 based drugs can be produced to help inflammatory diseases like periodontal disease, as well as assist with bone loss in osteoporosis and rheumatoid arthritis. Gum disease is common and is usually caused by a build-up of plaque on teeth. Gingivitis is early gum disease and occurs when the bacterial film builds up on teeth, especially where the gum joins the tooth. Periodontitis is advanced gum disease that may occur if gingivitis is not treated. The gum margin, the part of the gum that seals to the tooth, is weakened and gaps or pockets form between the tooth and the gum, which are called ‘periodontal pockets.’ Bacteria become jammed in these pockets causing further inflammation (redness and swelling). Periodontitis can affect the covering of the tooth root (cementum), the bone and the fibres that connect the cementum to the bone (periodontal ligament). As the disease progresses and more bone is lost, larger spaces and gaps begin to form between the tooth and the gum as the gum shrinks away. It might be tempting to avoid cleaning your gums when they are inflamed and bleeding, but regular brushing and flossing will help improve the situation. Early intervention to treat gum diseases can ensure the longevity of your teeth, like many conditions. If you have swollen or bleeding gums or your teeth feel loose, see your dentist. The dentist or oral health professional will examine your gums with a probe to gently measure the spaces between the tooth and gum. This will determine the health of your gums and supporting structures. If necessary, the dentist or oral health professional will instruct you in tooth cleaning techniques or usually advise professional removal of any plaque and calculus (hardened plaque) that usually collect around the gum line of the teeth. Most people will require professional scaling and cleaning of their teeth each 6 months, because the hardened bacteria likes to cement strongly to the root surfaces, and irritates the gums. One of the common signs of gum disease is bleeding gums. Careful cleaning can help prevent gum disease. Eat a healthy and balanced diet of fresh fruit and vegetables, lean meat, fish and wholegrains. Avoid saturated fats in your diet. Limit sugary foods and drinks to meal times, or preferably eliminate. Brush your teeth and gums twice a day with a fluoridated toothpaste. Preferably use an Oral B Professional Care electric toothbrush. Visit a dentist or other oral health professional each six months. Avoid smoking as it exacerbates the bone loss. Teething may cause local discomfort, with drooling, biting/mouthing, gum rubbing, irritability and a low grade fever possible. However symptoms such as loss of appetite, sleeping problems, cough, rash, high fevers, vomiting and seizures are not thought to be associated with teething. ✔️ strictly following instructions for conservative use of Paracetamol or Ibuprofen is reasonable for management for discomfort. Be careful not to give to your baby for more than 3 days, maximum daily doses are not exceeded, and dose is compared to weight and age. Bonjela is choline salycilate - some infants have been hospitalised for salicylate toxicity in published case reports, due to excessive use. It has also been associated with Reye's syndrome (a rare and serious condition that causes swelling in the liver and brain in children, with symptoms including vomiting, confusion, seizures and loss of consciousness). In the UK, salicylate has been removed from teething preparations and replaced with lignocaine, an anaesthetic. Gels with salicylate are labelled as not to be used on children younger than 16, in the UK, however no warnings are required in Australia. SM33 is salicylic acid and lignocaine. At home use of local anaesthetics is dangerous because it is difficult to determine how much a baby is swallowing. It could numb the throat and increase the risk of choking by impairing the gag reflex. Significant amounts of Lignocaine can also cause heart disturbances and seizures. Some teething gels are imported and have Benzocaine of up to 20%. There is an uncommon risk of methemoglobinaemia (a red blood cell disorder which can be fatal) within minutes of use, with infants at increased risk, and an alert was released to health care professionals in 2011 to warn against using these products. A warning alert was released in 2014 as to not using any local anaesthetic gels (Viscous Lignocaine, Viscous Xylocaine or Benzocaine) to treat children or infants with teeth pain. This is following an investigation into 22 case reports of serious adverse reactions including deaths, in infants and children, aged 5 months to 3.5 years, for the treatment of mouth pain. Homeopathy is not actually the same as natural or home-made. One teething brand was recalled due to toxic levels of belladonna (the root and leaf of a plant that can be poisonous). As well as that they were teething tablets which were little lumps of lactose with the liquid poured on top, which were known to have a tooth decay risk as well as pose a choking hazard. According to experts, true homeopathic products are based on poisons which are greatly diluted. University testing indicates that succinic acid, which is supposed to be in a Amber beads and convey an analgesic effect, could not be detected. Also they could be a choking hazard. When teenagers and young people are drinking a standard 500ml energy drink, they may as well sit down and eat 21 teaspoons of sugar. The energy drink Rockstar in a 500mL serving contains almost 83 grams of sugar and 160 mg of caffeine. Mother (Coca Cola Amatil) in a 500ml serve has 13 teaspoons of sugar and 160mg of caffeine. Even the 250mL cans of Red Bull and Mother have 7 teaspoons of sugar and 80mg of caffeine. Leading health and community organisations such as Diabetes Australia, The Heart Foundation, The Cancer Council, Nutrition Australia and Rethink Sugary Drink Campaign, issuing warnings about the health risks. Energy drink consumption in Australia and New Zealand has increased from 34 million litres in 2001 to 155 million litres in 2010 (Australian Bureau of Statistics). 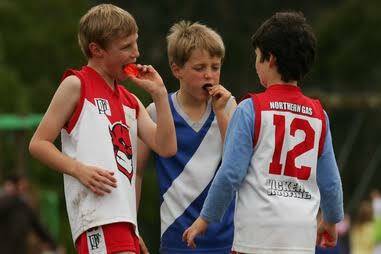 Health organisations in Australia, are calling for a 20 per cent tax on sugary drinks, a public education campaign and restrictions on sales in schools and sports arenas. In the short term, energy drinks create alertness, stimulation of the nervous system and an increased heart rate, due to the caffeine. Excessive consumption can cause insomnia, nausea, vomiting and heart palpitations. Longer term they are described as a risky drink choice when students are drinking several a day during exams, with the high sugar content in energy drinks increasing the risk of weight gain, increasing the risk of heart and kidney disease, type 2 diabetes, stroke and cancer. Furthermore, energy drinks contribute heavily to tooth decay and erosion, where the acid in the drinks is softening the tooth enamel and dissolving it, and the sugar is then allowing attack of the vulnerable tooth structure. In some cases there is rampant decay and severe wear of the tooth structure, with all of the enamel stripped from the teeth. The Australian Beverages Council reports that data from Australian Bureau of statistics shows that energy drinks were consumed by 1.7% of teenagers in Australia, which reinforces their claims that there is regulation in an effective way, and with drinks not available in secondary schools. The Rethink Sugary Drink Campaign would like tougher regulations on the heavy marketing of energy drinks to youths, given that the major energy drink brands partner heavily with activities that young people engage in, such as music festivals, schoolies celebration and sporting events. The brands Rockstar and Mother labels their cans to recommend no more than one can a day is consumed, and indicates that the drinks are not marketed to children. There were 40 calls in 2014-2015 to the NSW Poisons information centre about excessive energy drink consumption for advice regarding adverse symptoms. The potential risks of drinking more than one can of energy drinks include a caffeine overdose which can lead to palpitations, raised blood pressure, shakes, nausea, vomiting, fits and, in extreme cases, even death. High levels of caffeine reduce the body's response to insulin, and could lead to diabetes. The World Health Organization has decsribed energy drinks as a "danger to public health," with consumption of such beverages on the rise. The website Personalise.co.uk has released an infographic which shows what happens to the body in the 24 hours after consuming an energy drink.